Join Norwex in January - Business Boosting SUPER KIT! 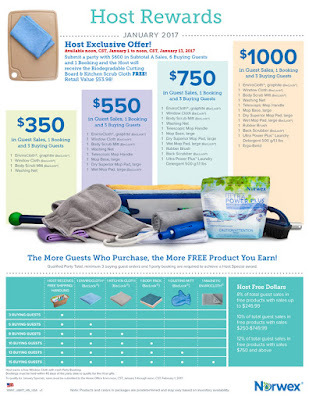 Join Norwex in January = Business Boosting SUPER KIT! Learn more about our Standard Starter Kit and Upgrade Options by CLICKING HERE. 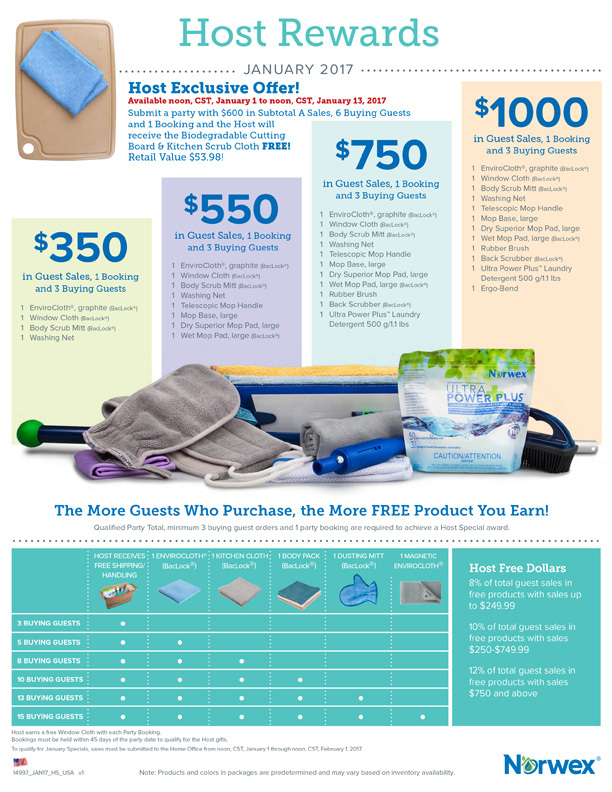 JOIN IN JANUARY* AND GET OVER $169 IN FREE PRODUCT! This Super Kit Enhancement gives you everything you need to throw a super-sized Launch Party and get your business off to an incredible start. 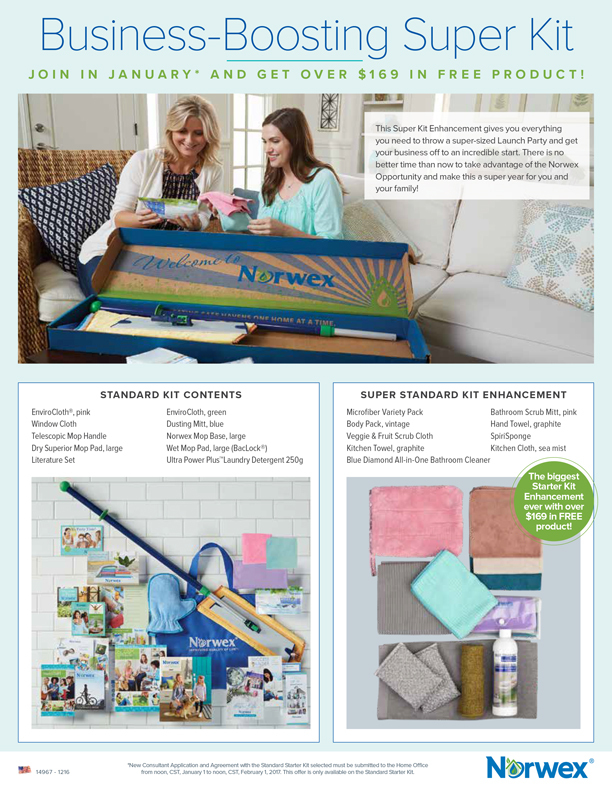 There is no better time than now to take advantage of the Norwex Opportunity and make this a super year for you and your family! *New Consultant Application and Agreement with the Standard Starter Kit selected must be submitted to the Home Office from noon, CST, January 1 to noon, CST, February 1, 2017. This offer is only available on the Standard Starter Kit. Orders must be received in the Home Office from noon, CDT, January 1 through noon, CDT, February 1, 2017. Note: Products and colors in packages are predetermined and may vary based on inventory availability. 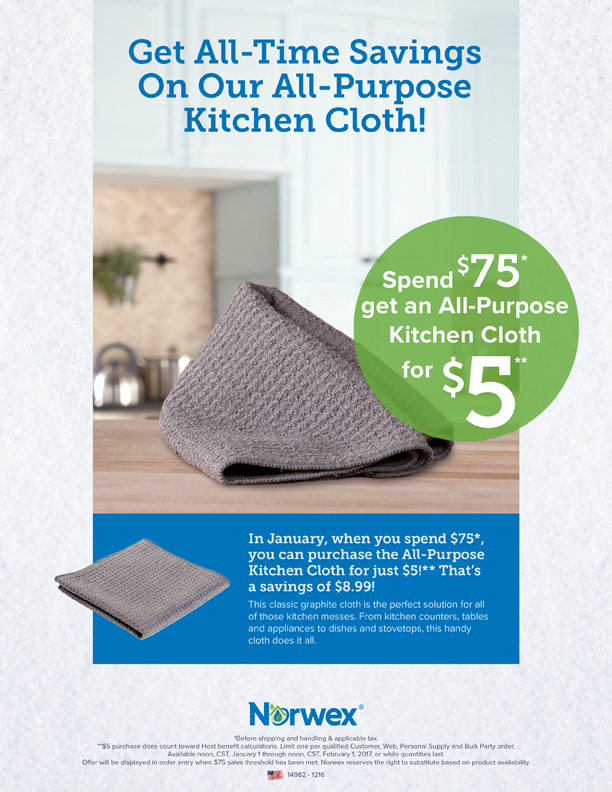 Get All-Time Savings On Our All-Purpose Kitchen Cloth! In January, when you spend $75*, you can purchase the All-Purpose Kitchen Cloth for just $5! ** That’s a savings of $8.99! This classic graphite cloth is the perfect solution for all of those kitchen messes. From kitchen counters, tables and appliances to dishes and stovetops, this handy cloth does it all. *Before shipping and handling & applicable tax. **$5 purchase does count toward Host benefit calculations. Limit one per qualified Customer, Web, Personal Supply and Bulk Party order. Available noon, CST, January 1 through noon, CST, February 1, 2017, or while quantities last. Offer will be displayed in order entry when $75 sales threshold has been met. Norwex reserves the right to substitute based on product availability. 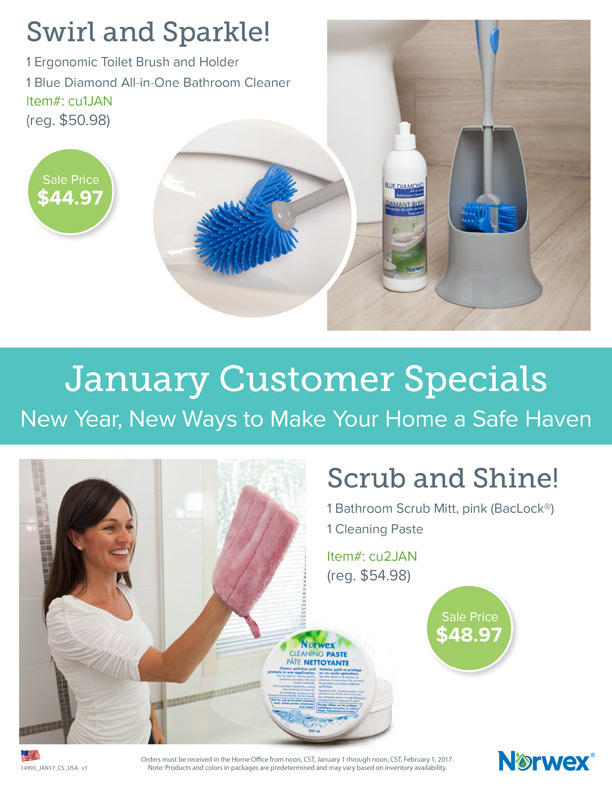 Board & Kitchen Scrub Cloth FREE! All parties must be submitted to the Home Office from noon, CST, January 1 through noon, CST, February 1, 2017.